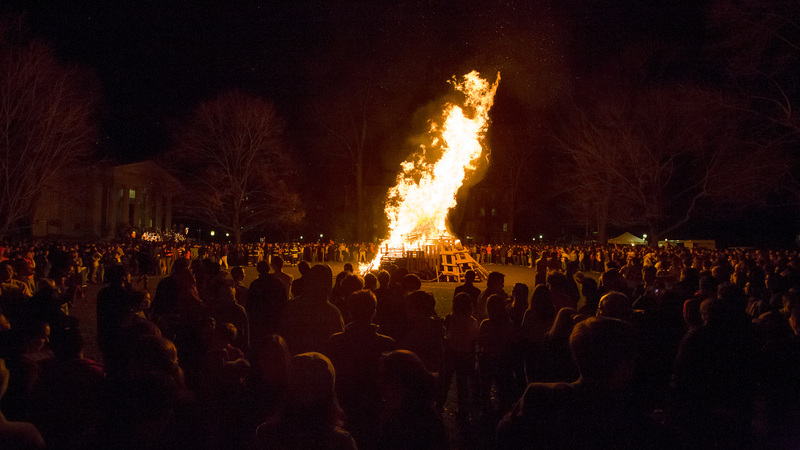 On Saturday, November 17th, 2012, at 7:00 p.m., we went back to Cannon Green to re-light a fire that has been dormant for six years, the BONFIRE! 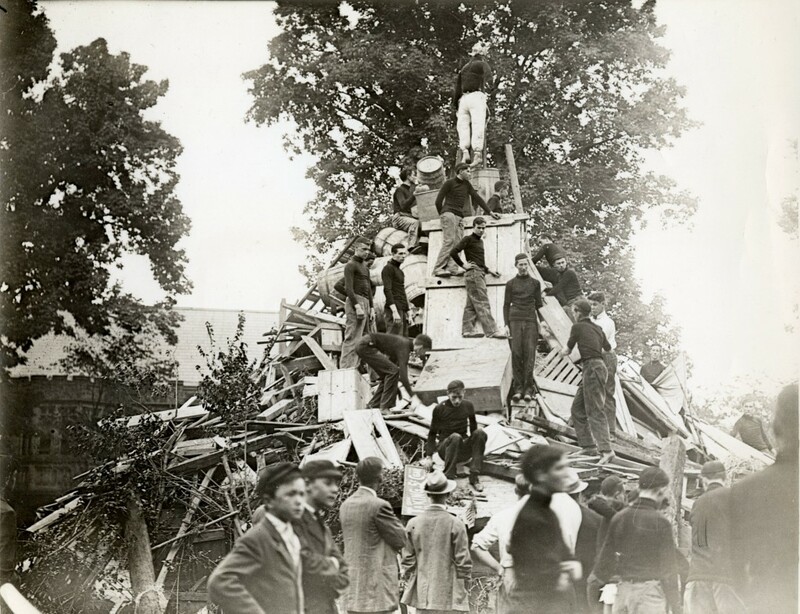 The bonfire is one of the oldest traditions at Princeton University. 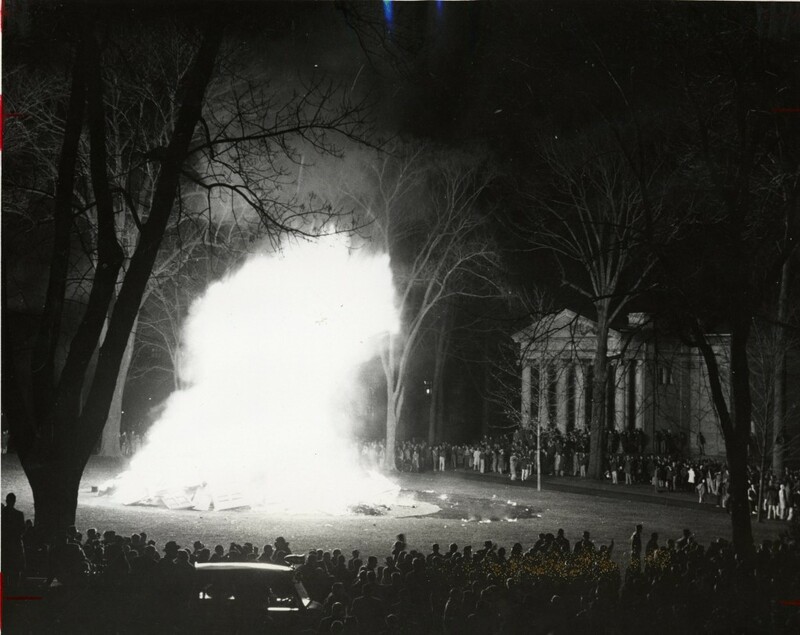 The Princetoniana Committee, part of the Alumni Association, describes the fire as “one of the most memorable– and sporadic– of all traditional Princeton activities.” The celebratory fire occurs only after the Princeton football team has defeated both Yale and Harvard. 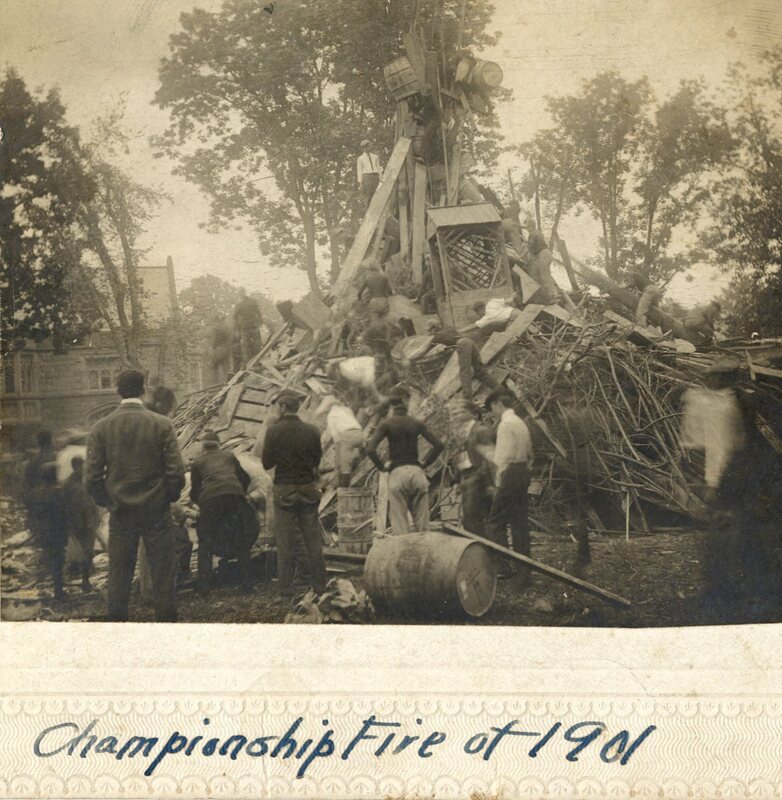 Here we showcase just a few of the many historical photographs of bonfires that are in the Princeton University Archives, housed here at the Mudd Manuscript Library. The following reside in the Historical Photograph Collection: Campus Life (AC112) and the Office of Communications Records (AC168). Gathering the materials for the 1901 fire. Students turn away from the heat of the flames during the 1946 fire. 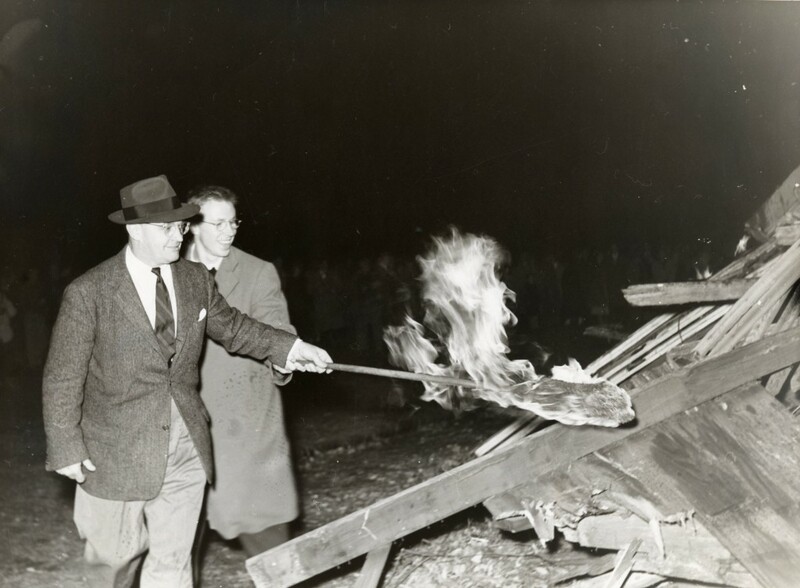 Football coach Charlie Caldwell ’25 and team captain George Chandler ’51 lighting the bonfire in 1950. 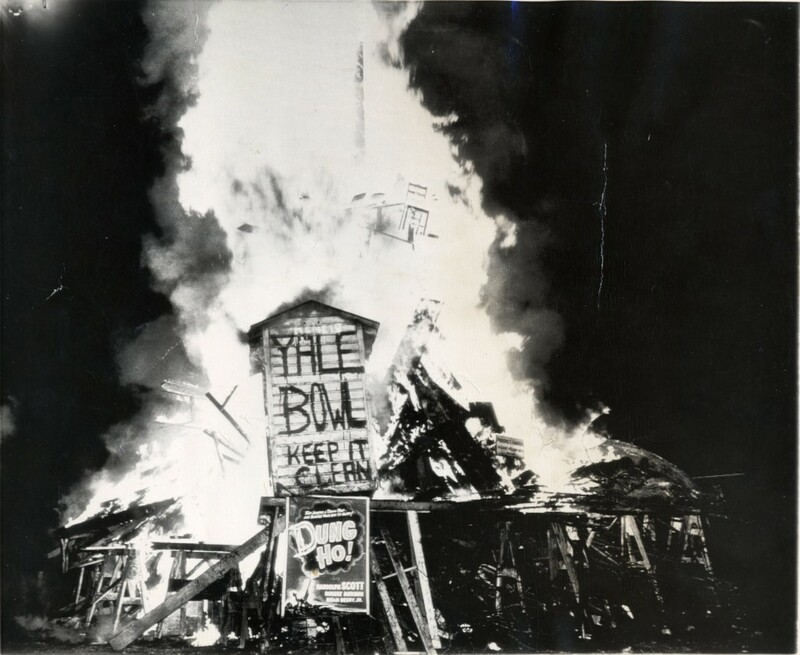 A closer look at the outhouse from the 1952 championship event. 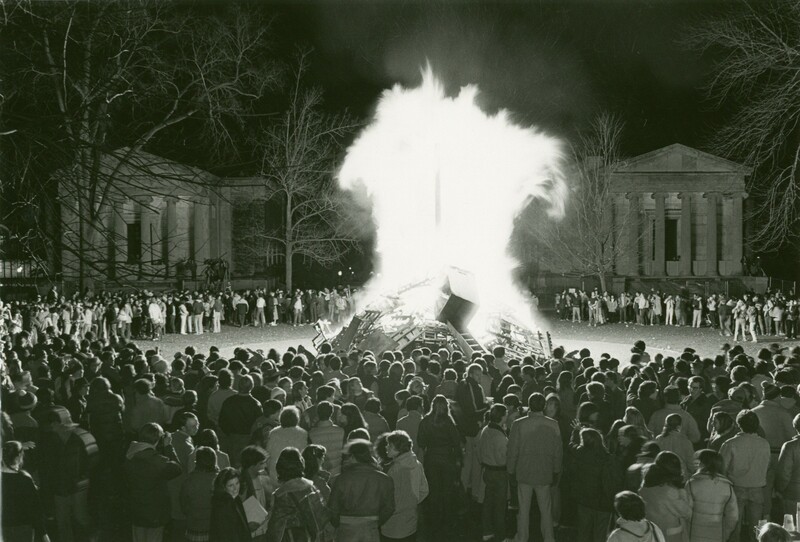 Huge flames during the 1981 bonfire. 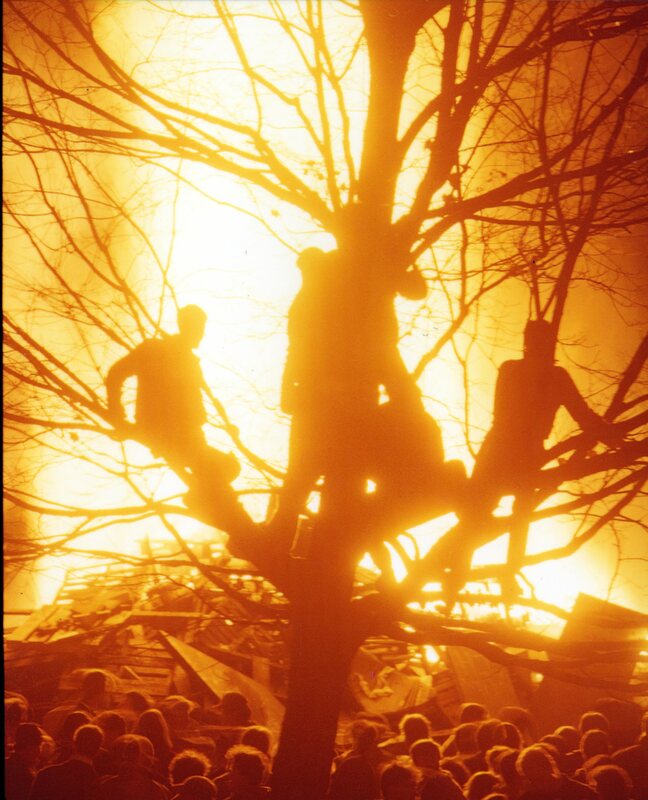 Students watch the 1985 fire from the trees. 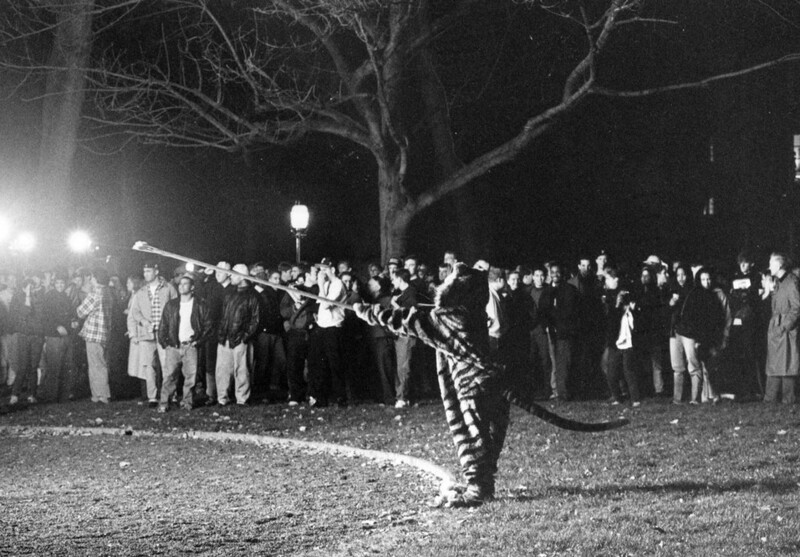 The Princeton Tiger lights the 1994 bonfire. 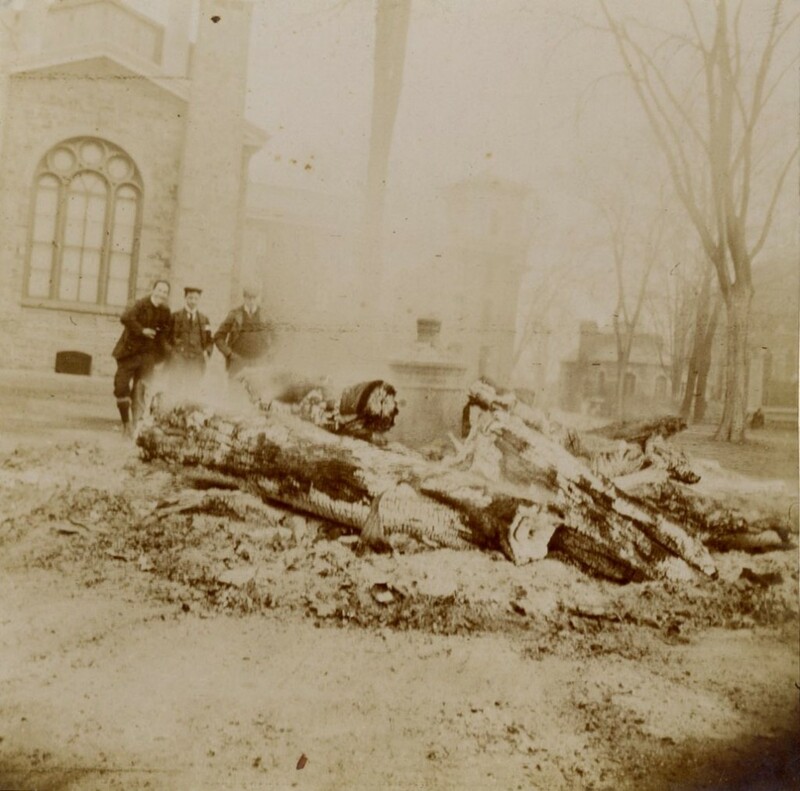 Princeton Pause also compiled a video from the 2006 fire featuring items from our archives. More photographs can be viewed in person by visiting the Mudd Reading Room. Digital copies of photos are also available. 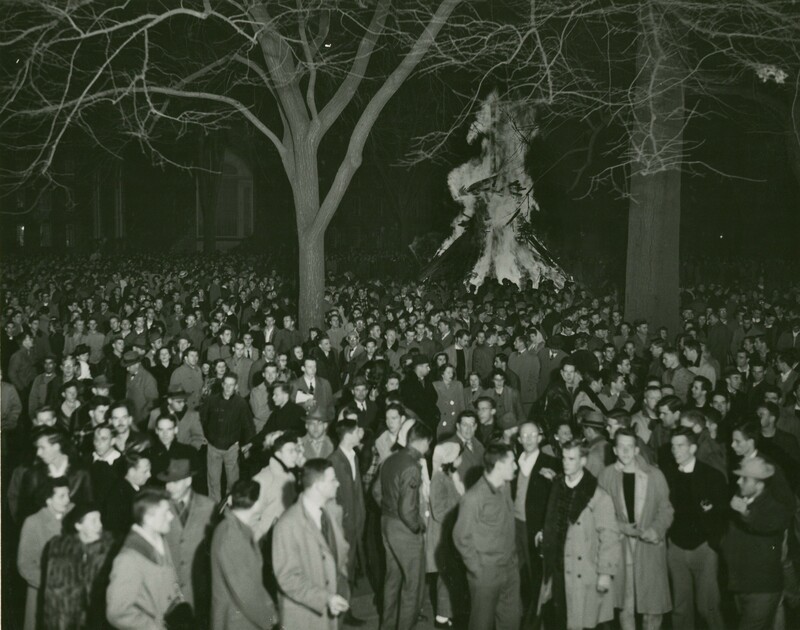 Start your search with our Historical Photograph Database. 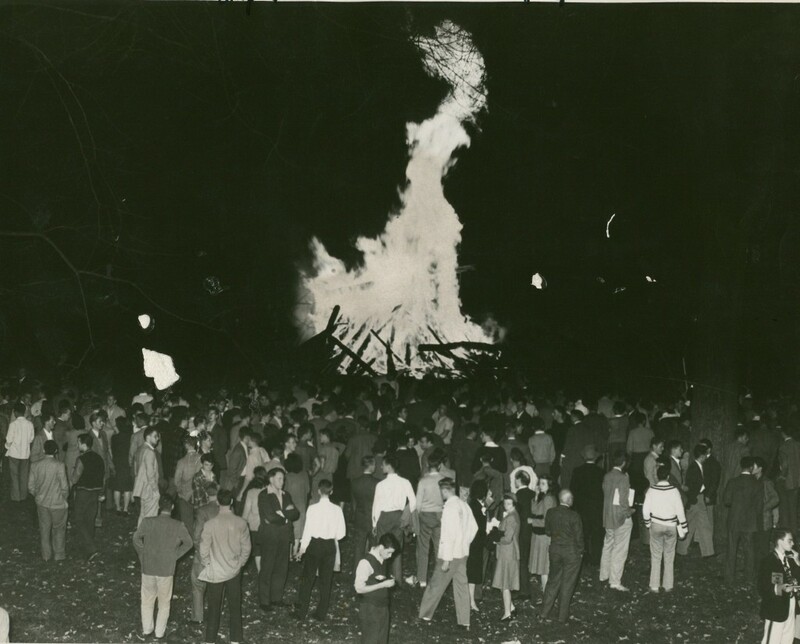 If you are attending and sharing photos using Twitter or Instagram, please use the hashtag #bonfirePU and contribute to documenting the history of this wonderful event! 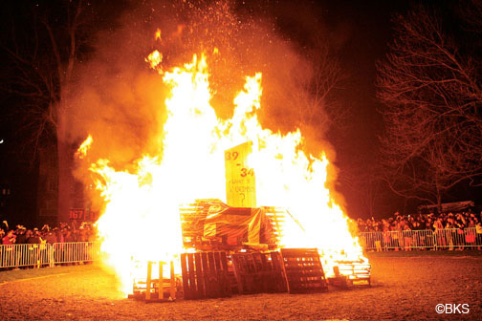 Please also feel free to leave a comment about your bonfire memories! 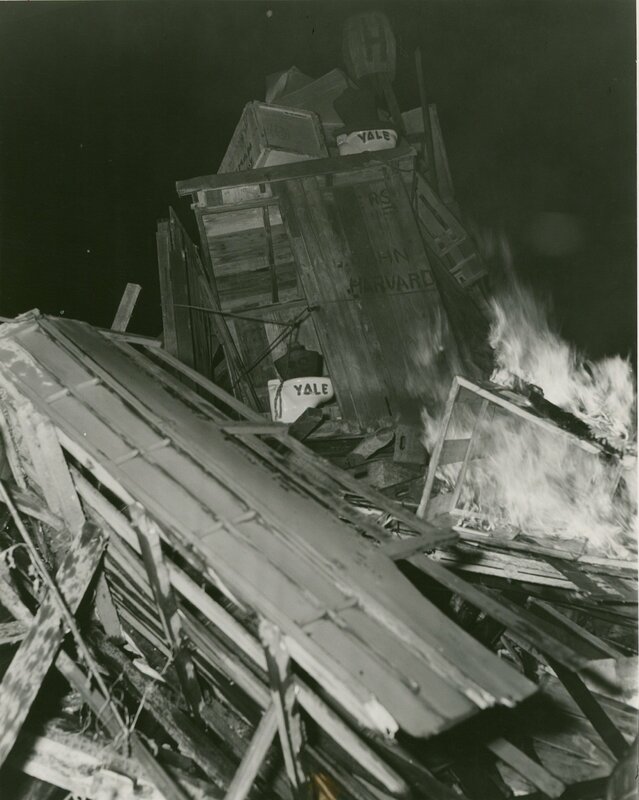 This entry was posted in Collections and tagged #bonfirePU, bonfire, Championship fire, football, harvard, Princeton Bonfire, yale by Christa Cleeton. Bookmark the permalink. Awesome article Christa, gonna be nice to see a bonfire in real life instead of just the reading room!